Shashank Priya is associate vice president for research and director of strategic initiatives in the Office of the Vice President for Research (OVPR). His research is focused in the areas related to multifunctional materials, energy and bio-inspired systems. He has published over 300 peer-reviewed journal papers/book chapters and more than 60 conference proceedings covering these topics. Additionally, he has published more than five book chapters, five US patents, and five edited books. He is the founder and chair of the Annual Energy Harvesting Workshop series (www.ehworkshop.com). 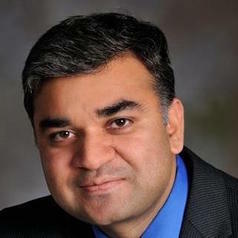 Dr. Shashank Priya is currently serving as the chief editor of journal “Energy Harvesting and Systems”, editorial board member of journal integrated ferroelectrics and advisory board member of journal of dielectrics. He is also serving as the member of the Honorary Chair Committee for the International Workshop on Piezoelectric Materials and Applications (IWPMA). Our research is focused on developing bio-inspired materials, understanding the complex nature of properties in these materials, and once this understanding has been achieved, utilizing them to invent unique applications. Thus, our group is very interdisciplinary, consisting of materials scientists, physicists, mechanical engineers, robotics, and electrical engineers. This allows us to conduct integrated research addressing several aspects at the material, component, and system level.